Cuba has a new president, and it’s not a “Castro”. 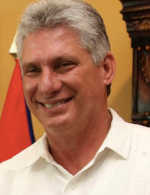 Miguel Díaz-Canel, the country’s first Vice-President, has become the president. He is 58 years old, and in the past has also held the position of minister of higher education. Cuba has been led by one of the Castro brothers for almost 60 years. 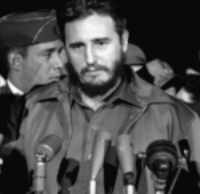 Fidel Castro took over as Cuba’s leader in 1959. He was one of the longest ruling leaders in modern times, and led the nation for 49 years. He believed in communism, where the government owns all property and controls jobs and education. Fidel wanted to provide Cubans with the best education and health care system that was free for all. Today, Cuba has one of the highest literacy rates in the world – out of 1,000 people, only 2 are uneducated. Fidel was not kind to people who opposed him. Many who disagreed fled Cuba or were put in jail. 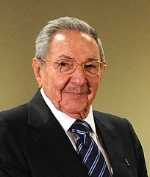 In 2006, Fidel passed the presidency on to his brother Raúl Castro because of health problems. Raúl is now 86 years old, and has chosen to step down. 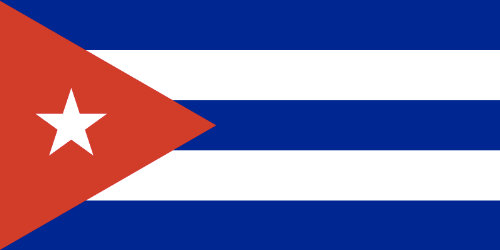 Cuba is an island nation in the Caribbean Sea. It is separated from the United States by just about a hundred miles (about 160 km). Cuba and the United States did not get along under the rule of Fidel. The US broke off diplomatic ties with Cuba in 1961. Not only that, in 1961 and 1962, the United States tried to overthrow Fidel from power, but did not succeed. The U.S. government placed trade restrictions with Cuba, which hurt the Cuban economy. Under Raúl’s leadership, in 2014, the two countries made some efforts to becoming friends again. Here is a video about the US and Cuba’s history. During the time that Fidel Castro was the leader of Cuba, the United States went through 10 presidents, and the James Bond movies went through 7 actors. Christopher Columbus arrived in Cuba in 1492, and claimed it as a Spanish territory.